Later this month, shoppers across the country will celebrate a holiday dedicated to local entrepreneurs: Small Business Saturday. On November 24, the day after Black Friday, more than four in 10 Americans are expected to shop at the mom-and-pop stores that make up 99.7 percent of the U.S. economy. How did Small Business Saturday become so popular? When American Express first celebrated the day in 2010, it did something smart: It brought together businesses, nonprofits, and community leaders. The inaugural holiday’s supporters included the National Trust for Historic Preservation, Facebook, and Boston Mayor Thomas Menino. If you’ve ever tried to get a small business loan, you know how tight-fisted big banks can be. That’s part of the reason that the American Banking Association expects digital lending to grow tenfold between 2015 and 2020 into an industry worth $122 billion. To see why, consider the loan requirements of lending companies like Kabbage. The company analyzes the real-time data of SMBs so that businesses can qualify in minutes. During peak times like the holiday shopping season, that can provide greater flexibility to focus on customers. To date, Kabbage has provided access to more than $5.6 billion to more than 150,000 small businesses. Online lenders don’t just benefit the businesses, but also local communities: According to a report from the Electronic Transactions Association, for every dollar in online lending to small businesses, an average of $3.79 in gross output is generated for local communities. Like malls and Walmart before it, Amazon is often seen as the enemy by local businesses. The truth is, however, that small businesses are growing not in spite of online marketplaces like Amazon, but because of them. According to small business insurer Insureon, 81.5 percent of small businesses have increased their revenue either “significantly” or “moderately” through online sales. Because many small business owners lack the know-how or time to set up their own online stores, however, they feel left behind by the digital economy. E-commerce platforms like Shopify make it easier for brick-and-mortar stores to catch up with no-code tools and cross-channel integrations. How does Shopify work? Users pay for a base plan — basic, at $20 per month; standard, at $79 per month; or advanced, at $299 per month — plus per-transaction fees that vary by package. In return, they get access to Facebook’s, Amazon’s, and eBay’s marketplaces, as well as a suite of drag-and-drop website design and sales analysis tools. Although more and more small businesses are selling online, many still rely on physical storefronts for the bulk of their sales. 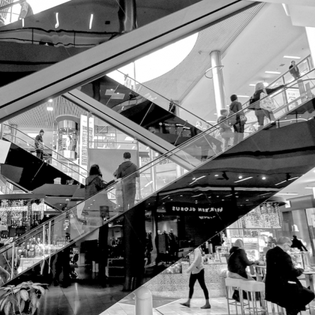 Likewise, nearly two-thirds of American consumers prefer to shop at brick-and-mortar stores. So how can small businesses get more shoppers in the door? Proximity marketing, which uses beacon technology to push offers and coupons to nearby smartphones, has proven remarkably effective. Proximity Directory claims small- and medium-sized businesses can increase their operating profits by 8 percent and achieve an ROI of 365 percent with the tactic. Because it supports both Google’s Eddystone and Apple’s iBeacon hardware and offers a simple interface, Beaconstac has become a favorite among small business owners. Beaconstac’s basic plan is $49 per month and includes up to five beacons; for $99 per month, users gain retargeting services via Google and Facebook. Part of operating a small business is wearing many hats. But preparing for events like Small Business Saturday can be crushing. What’s a small business owner to do when marketing, inventory management, operations, and more demand extra attention? Some of them, at least, turn to virtual assistants. Although VAs aren’t as budget-friendly as other services on this list, they provide on-demand help with a huge range of tasks. Zirtual, founded by Startups.co, is a popular option: For $398 per month or more, it offers college-educated, U.S.-based assistants who can set up meetings, respond to emails, conduct research, draft invoices, and more. American Express may have started Small Business Saturday, but behind the holiday is an army of consumers, community leaders, and national brands. Whether or not those brands are official sponsors, they deserve recognition for making Small Business Saturday not just possible, but also profitable. Because when small businesses succeed, so does the entire economy.